Hello! 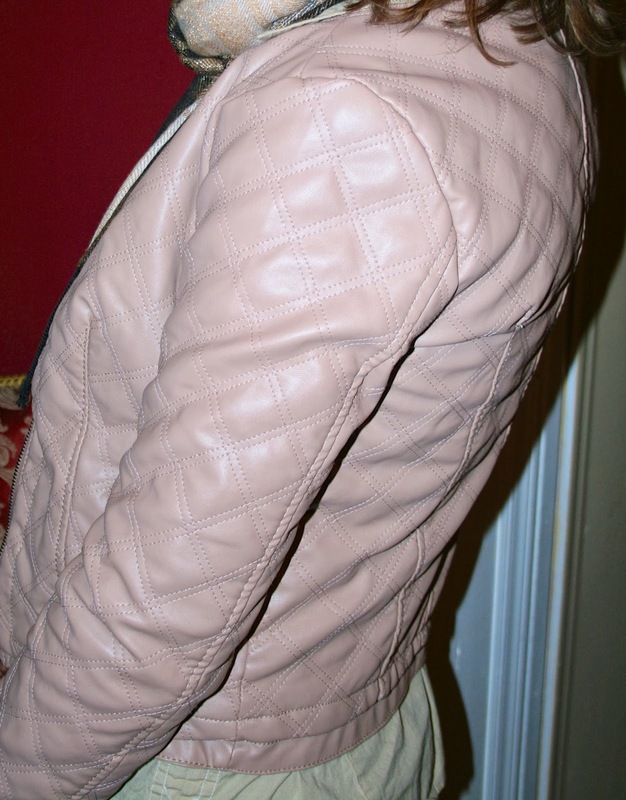 For this week's Fashion Over Fifty post, I want to show you a cute quilted blush jacket I bought from Charming Charlies this past November. 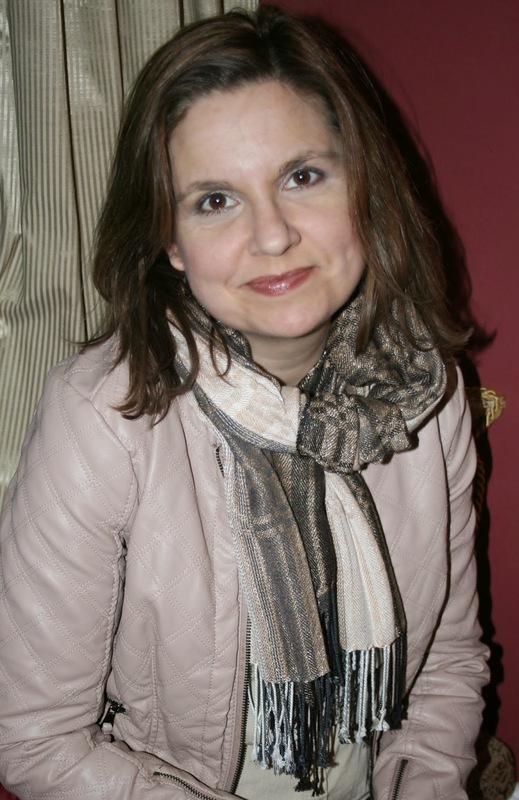 Awhile back in THIS POST, I discussed how older women like myself can fall into the habit of wearing two top garments; usually a cardigan and blouse, or a button down shirt and a t shirt. I called it 'the double shirt trick' in that post and explained that the reason most of us do that is to try and hide our ever expanding midsections. Well, recently I was in a Dress Barn, which is known as an older women's fashion store, and I noticed how many different styles of short jackets they had and how attractive they were. I thought to myself that it was a trendier, more fashionable way to camouflage those love handles and back fat, than the traditional 'two top garments' style. Now I didn't buy any new jackets from Dress Barn that day, because I already own many different styles of short jackets, but I did keep the idea in my head for future reference. And here I am, wearing one of my short jackets. It was a bitter cold day, as most days have been this winter, so I wore this jacket inside and was never too warm. 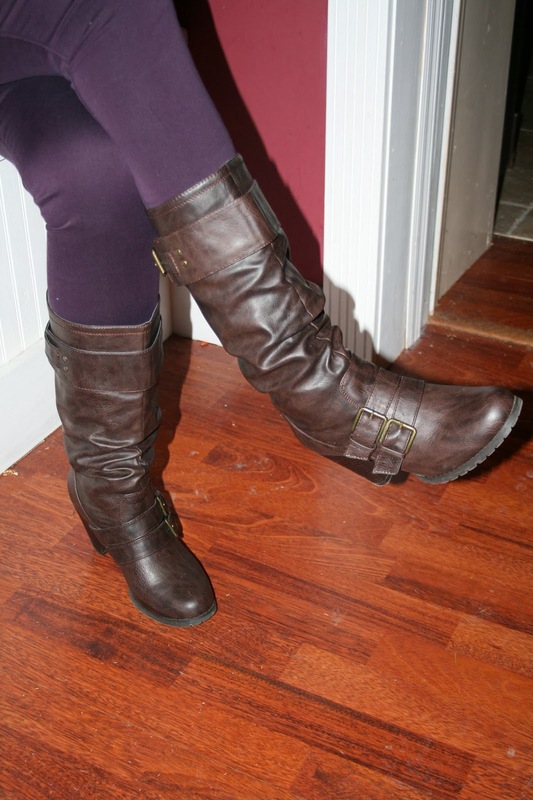 I wore it with eggplant skinny jeans, tall dark boots, a tan button down shirt, and a scarf. The jacket has a lot of visual interest despite the duller color because of all the quilting and zippers on the pockets and sleeves. One of the interesting things I've been discovering in having my photograph taken wearing different outfits, is that it helps me see my outfits from a different perspective other than my reflection in a mirror. The first thing I noticed about me wearing this jacket in the photograph, was that the color blush doesn't look good on me. I did not notice that when I stood in front of a mirror. Now it may just be the photo, or perhaps the red wall behind me is playing tricks with the camera lens, but I do feel the color makes me look washed out. I don't think that I will buy any more clothes in this color; unless it's a garment that is not worn near my face. It does break my heart to say that, because I really love this new fashion color. Here are some detail shots of my pants and boots. They were both purchased last year. I got the pants from Express and the boots from Famous Footwear. And here is a side/back view of the jacket so that you can see the quilted effect better. I hope I have inspired you to try using a jacket instead of a cardigan or shirt for 'old double shirt middle aged fashion trick'. It's always fun to get out of our comfort zone and try something different. Well you have convinced me, I must get one of those short jackets. I used to wear them back in the day(different style but short) then got to thinking I was to old for them. I'm still trim and fit so I am going to give it a go! Thanks for the inspiration.